LHP Derek Holland (0-1, 6.75 ERA) goes for the Giants while RHP Ross Stripling (0-0, 0.00 ERA) makes his second start for the Dodgers. Holland gave up three runs in four innings to the Padres in his first start of the season, while Stripling threw 5 1/3 innings of scoreless ball against the Diamondbacks in his. Holland is 0-3 with a 4.56 ERA in seven career appearances against the Dodgers; Stripling was 1-0 with a 1.64 ERA in four games against the Giants last year. Bellinger is pleased with his start, naturally, but he’s astonished that yesterday’s game was the 300th of his career. 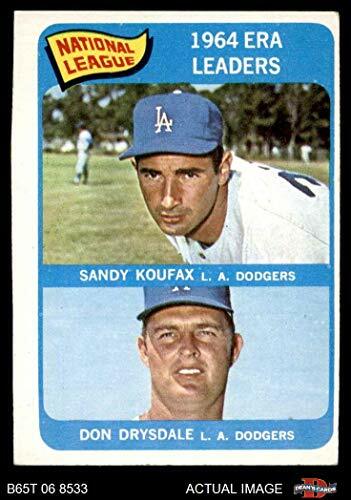 1968 The Tigers trade left-hander Hank Aguirre to the Dodgers for a player to be named later, minor leaguer Fred Moulder. The All-Star southpaw, better known for being the worst hitter in major league history, will compile a .085 batting average during his 16-year major league career, striking out in an astounding 61% of his 388 at-bats. In his sole season with the Dodgers he appeared in 25 games, threw 39 innings, earned three saves and put up a .069 ERA. 1974 The Indians trade Pedro Guerrero to Dodgers for pitcher Bruce Ellingsen. The 17 year-old infielder/outfielder will compile a .309 batting average and will be named to the All-Star team five times during his 11 seasons with the team. 2008	Twenty minutes before their game, the Dodgers announce reliever Hong-Chih Kuo will start in place of Chad Billingsley, who in turn will be in the bullpen. The unusual move, made due to the threat of rain at the start of the contest, is also employed by the Giants with Merkin Valdez beginning the game on the mound and the announced starter, and eventual winner Tim Lincecum entering the game in the fourth inning. LHP Madison Bumgarner (0-1, 2.57 ERA) probably deserved better than he got in his first start of the year against San Diego, but the Padres’ Eric Lauer and bullpen held the Giants scoreless. He’ll try to get his first win again tonight against the Dodgers’ Hyun-Jin Ryu (1-0, 1.50), who was very good in his first start against the Diamondbacks. 2003 Todd Zeile homers in his first at-bat as a Yankee, becoming the only major leaguer to hit a home run for ten different teams, surpassing Tommy Davis, who went deep for nine different clubs. In addition to homering with the Bronx Bombers, the infielder has also gone deep for the Cardinals, Cubs, Phillies, Orioles, Dodgers, Marlins, Rangers, Mets, and Rockies. 2007 For only the fourth time in major league history, a hurler under the age of 21 wins an Opening Day assignment when 20 year-old Venezuelan right-hander Felix Hernandez pitches eight strong innings in the Mariners’ 4-0 victory over the A’s at Safeco Field. Fernando Valenzuela of the Dodgers was the last pitcher ‘not of age’ to accomplish the feat, beating the Astros, 2-0, in 1981. 2008 Third base ump Ed Montague tosses Larry Bowa for not staying within the boundaries of the coaching box although he warned the Dodger coach several times to follow the new edict put in place by MLB following the tragic death of Tulsa Drillers’ first base coach Mike Coolbaugh. The former infielder and manager’s behavior will lead to a three-game suspension for “inappropriate and aggressive conduct,” in which he had to be restrained by manager Joe Torre and bench coach Bob Schaefer in the sixth inning of the 3-2 victory over the Giants in Los Angeles. In non-Dodger history, on this day in 1972 after playing a round of golf in West Palm Beach with his coaches on Easter Sunday, Mets manager and former Dodger Gil Hodges, two days shy of his 48th birthday, suffers a fatal heart attack. The club will name current first base coach and former Yankee skipper Yogi Berra to run the team when the strike-delayed season begins. The Giants send off-season acquisition LHP Drew Pomerantz to the mound at Dodger Stadium for his season debut. He’ll face the Dodgers’ 22-year-old lefty Julio Urías, who’ll be making his first start in nearly two years. Pomerantz made 26 appearances for the Red Sox last season, starting 11. He posted a 6.08 ERA over the 74 innings he accumulated in those games. He had a WHIP of 1.77, walking 44 and striking out 66. Urías was scheduled to start the year in Oklahoma City, but then Kershaw and Hill got hurt. The youngster had a superb spring in which he put up a 1.72 ERA and 0.51 WHIP with 15 strikeouts over 15.2 innings pitched. The Dodgers still want to limit his innings this season, so he may only go five innings tonight, if that. 1937 The Reds sell Babe Herman to the Tigers. The 34 year-old outfielder, batting .300 for his new team, will appear in only 17 contests with Detroit before effectively retiring from the game, although he will return to play briefly for the war-time Dodgers in 1945. 1963 Former Brooklyn Dodger Duke Snider returns to New York when the Mets purchase him from LA for $40,000. The 36 year-old outfielder, who will represent New York in the All-Star Game, will be told at the end of the season by Buzzi Bavasi, his former GM, that the Yankees had asked for him to back up Mickey Mantle before he was dealt to the team the across the river. 2008 On Opening Day in Los Angeles, Juan Pierre’s 434 consecutive game streak, the longest current one in the major leagues, comes to an end when the Dodger outfielder does not play in the 3-2 victory over the Giants. New skipper Joe Torre plays Andre Ethier in left field in place of the highly paid but light-hitting fly chaser. It’ll be Robbie Ray for the visitors versus Ross (Chicken Strip) Stripling for the Dodgers. Stripling has had all winter to fix his pitch-tipping problem, which kept him off postseason rosters for all three series the Dodgers played last year. Ray struggled for the first four months of last year and didn’t throw consecutive quality starts until September, but over his last eight starts he had a 2.09 ERA with 61 strikeouts in 43 innings. 1935 The reigning National League champion Cardinals release 44 year-old right-hander Dazzy Vance, who appeared in his first and only World Series during his one season with the team. The future Hall of Fame hurler will return to the Dodgers, where he spent the most productive years of his career, finishing his major league 16-year tenure in the major leagues with a 197-140 (.585) record along with an ERA of 3.24. 2008	In an exhibition game celebrating the club’s 50th anniversary of their move west from Brooklyn, the Dodgers lose to the Red Sox in front of 115,300 fans at the LA Coliseum. 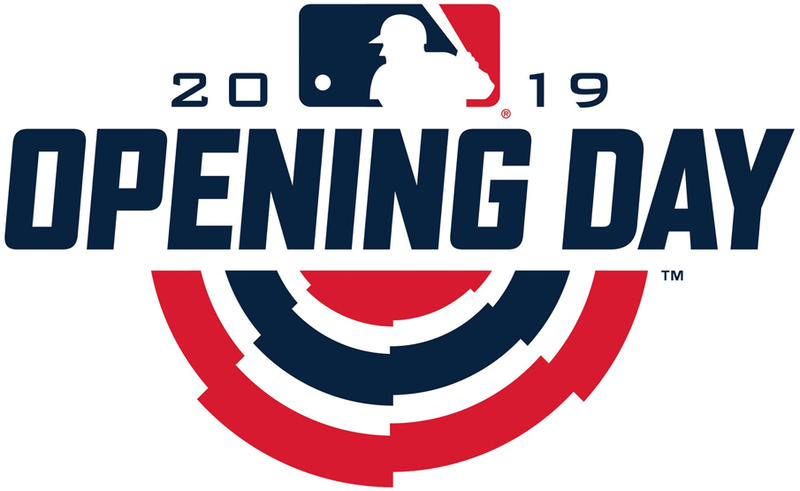 The crowd is the largest ever to watch a baseball game, surpassing the previous record when approximately 114,000 patrons attended an exhibition contest between the Australian national team and an American services team during the 1956 Olympics in Melbourne. 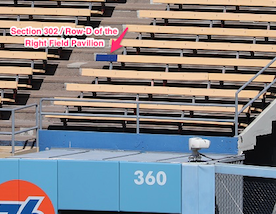 2017 The Dodgers commemorate Kirk Gibson’s historic pinch-hit, walk-off home run in Game 1 of the 1988 World Series by offering a special ticket package to sit in the right-field pavilion seat, recently painted blue and autographed by him, where the ball landed. The team is donating two-thirds of the $300 price of the ducats, which includes a companion seat, two commemorative T-shirts and food and drink, to the Kirk Gibson Foundation to raise money and awareness for Parkinson’s research, the neurological disease which affects the Fall Classic hero.